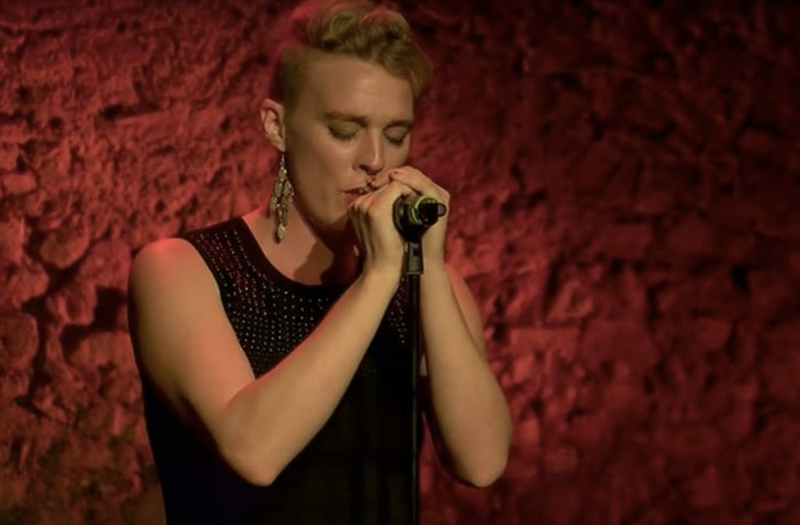 Up-and-coming French singer Barbara Weldens reportedly collapsed and died in the middle of a concert at a festival. She was 35. According to the BBC, the cause of death remains unclear, although one local media report claims she was electrocuted. Police are investigating the cause of death and are refusing to speculate. According to The Independent, a spokesman said that they "will see in the next weeks if a re-evaluation" is necessary. Weldens was on stage in the village of Goudron in the south-west area of France when she suffered a cardiac arrest. She was performing as part of the Leo Ferre festival. Weldens' debut studio album "Le Grand H de l'Homme" was released earlier this year to positive reviews and she had won a young talent award. She regularly performed with a pianist and violinist. Among her biggest influences was singer-songwriter Jacques Brel. According to her website, Weldens began to sing after growing up in circuses where she learned juggling, acrobatics and trapeze. Per NME, the organizers of the Pic D'Or price, which Weldens won in 2016, said in a statement, "It was with great emotion that we learned this morning of the death of Barbara Weldens, our Pic d'Or 2016 at a concert last night in Gourdon in the Lot, obviously electrocuted." The statement continued, "Our team is deeply disturbed by the brutal disappearance of the artist who had appeared on the stage of the Theater des Nouveaux on May 20th, during our last edition. A radiant woman, full of energy and talented, and of course we think of all her family and her loved ones." Representatives for Weldens have not yet responded to TheWrap's request for comment.